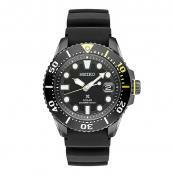 The dial glass is manufactured from the patented Hardlex Seiko material making it even more dense and durable. The watch still must be wound-up now and then. 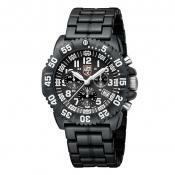 It is a great choice for lovers of automatic watches featuring steady and reliable operation. 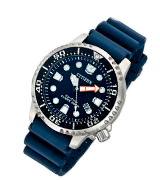 The dive watches feature remarkably reliable Japanese quartz mechanism. Some users may have difficulties reading the date display. The watch fits perfectly for everyday use as well as for sports or long journeys. The pre-set dive alarm will warn you if you are emerging faster than 6 meters per second saving you from potential aeroembolism. The function buttons are slightly hard to operate if you wear diving gloves, for example. 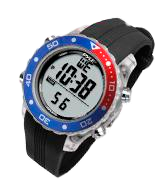 An amazing watch for scuba divers providing multiple useful functions in addition to displaying date and time. 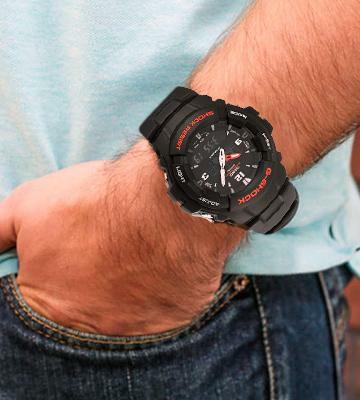 The unique G-Shock Resin case assures high durability of the watch and extra resistance to scratches and dents. The backlight illuminates only the lower part of dial. 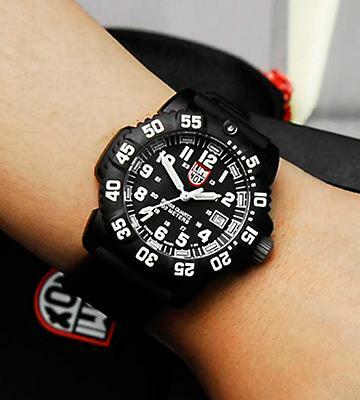 This watch is really a heavy-use item and will be admired by lovers of extreme sports. The proprietary Night Vision Tubes technology ensures good visibility of the luminuos dial in the darkness for 25 years. The band might wear-out fast under certain extreme conditions. This watch will be convenient both for an active leisure and a daily urban routine. 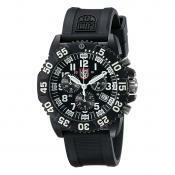 Shock resistant; Large Arabic numerals feature 12-hour clock and small numerals mark 24-hour clock. 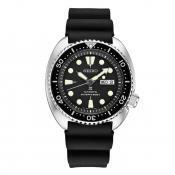 Seiko Men’s SKX007K Diver’s Automatic Watch is highly resistant to water pressure, so you may dive up to 200 meters deep without fear. Test results have proven this watch to be resistant both to the high pressure and other overloads. 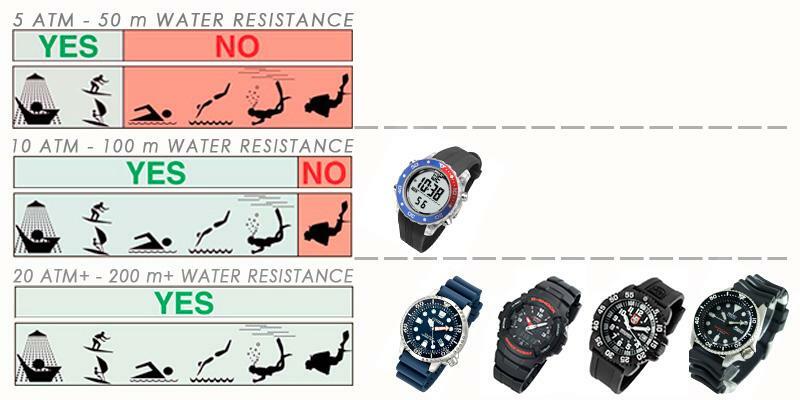 The watch features functions most important for diving. The patented system of coating LumiBrite Seiko makes hands and digits of the dial luminous and they are visible in the extreme depth as clearly as on surface in the bright daylight. 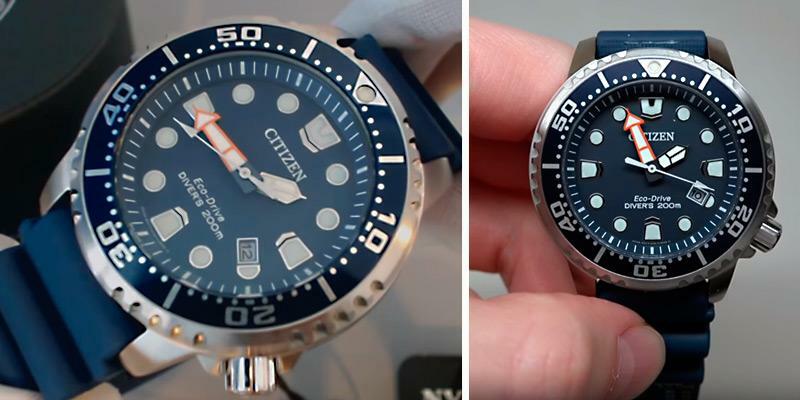 The dial has a bezel helping to keep timing under water. The bezel is marked by minutes for all 60 minutes. The connoisseurs of watch-making traditions should also appreciate the movement of this watch. 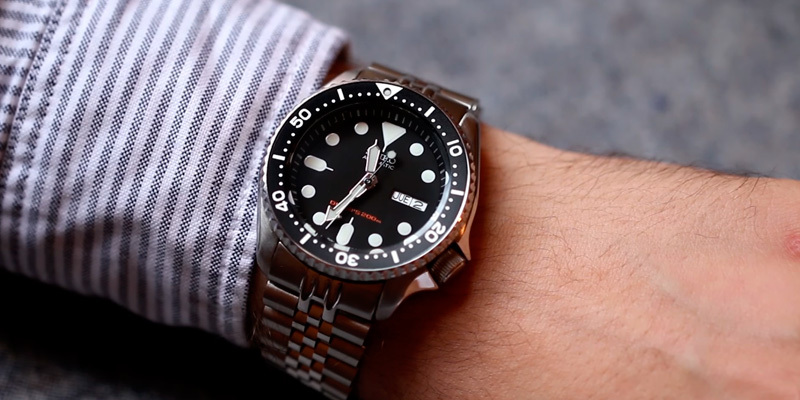 Seiko Men’s SKX007K has the real Japan automatic movement. The number of lovers of “real” watches doesn't change regardless of rapid tech development of digital technologies. Automatic watches are preferred by people fond of “real” watch mechanisms that have no electronics installed. It is also one of the reasons, why such watch often contributes to the esteem of its owner by others highlighting his or her individuality. It should also be mentioned, that the Japan quality movement of this watch assures its accuracy and precision compared to many mechanic watches. 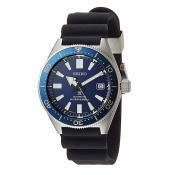 The first watch was produced by Seiko long ago, in 1892. 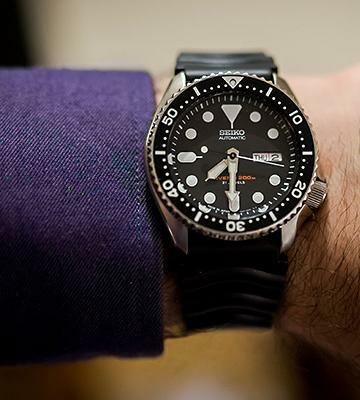 During its century-long history of watch making the company always maintained the quality of its products up to the highest standards, and the SKX007K diving watch is no exception to the rule. 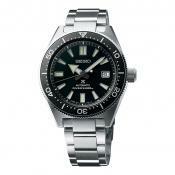 Taking into account that the initial purpose of this model is water resistance, it is made of stainless steel. As a result, the watch is fully waterproof and its body provides the ultimate protection of the mechanism inside. The band is made of rubber and firmly fixed on the wrist. The dial is covered by the patented Hardlex material, which is a mineral crystal consisting of several layers. This crystal is break- and scratch-resistant. Even after multiple trials, it still looked brand new. 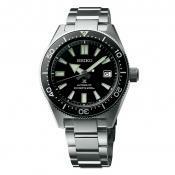 Seiko was one of the first watch-producers to launch manufacturing of wristwatches for diving. The movement and construction of these watches hasn't changed much for long years of the company’s history. 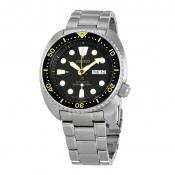 Seiko Men’s SKX007K continues the tradition proven with time and acknowledged by thousands of satisfied customers. You will not regret having chosen this model, which will survive many marine adventures with you. If you want to learn more about the history of the company and its products, follow this link. If you wish to make amazing videos of your diving on a mesmerizing coral reef, you can get an action camera with a special waterproof case. This is one of the classic automatic divers. It's a beautiful watch and is very sturdy. The aesthetics of this watch are pleasing on the wrist. It’s not an overly large watch, nor is it one that I have to stare to read the time. The lume is good too. 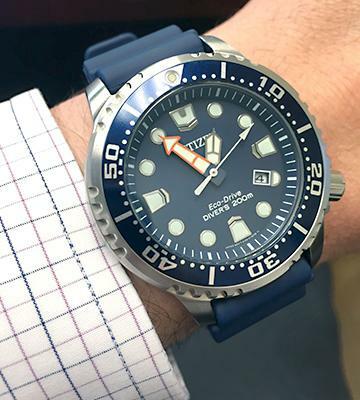 Almost as good as the Seiko Monster II, which honestly has no equal. 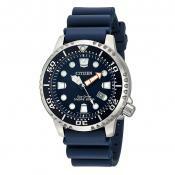 Citizen is recognized as the world’s largest watchmaker, a title they have held every year since 1986. A matter of interest is that this company has invented the most precise quartz watch in the world with a potential error of movement 3 seconds per annum maximum. But that is not the only achievement of Citizen. 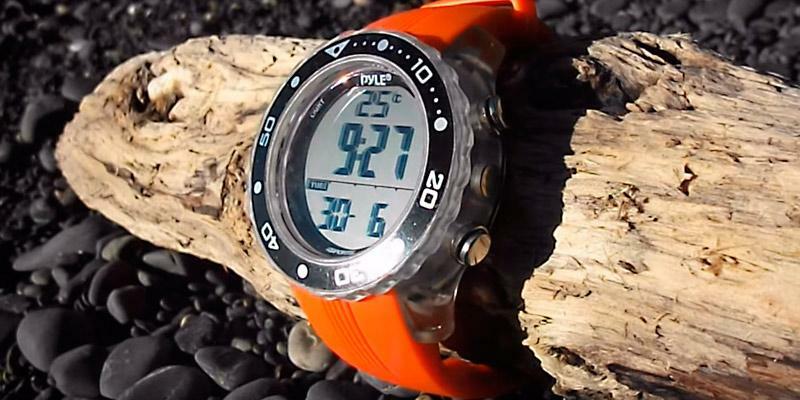 They have been the first manufacturer of waterproof watches, solar-powered watches, and diving watches with depth-meters. 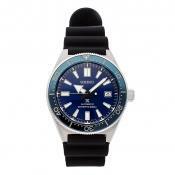 The Citizen Eco-Drive Men's BN0151-09L Promaster Diver Watch represents watches operating underwater at up to 200 meters depth without failures. It has a quartz movement fueled by light, so it never needs a battery. The band is very comfy and has a pleated form convenient for putting it over a diving suit. 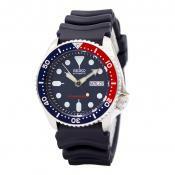 It is made of polyurethane which prevents the watch from sliding or slipping on neoprene material of the suit. The case is made of stainless steel and the dial is protected by sturdy mineral glass. 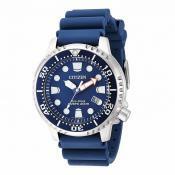 The model Citizen Eco-Drive Men's BN0151-09L Promaster Diver Watch With Blue PU Band has hands and numbers covered with a luminous coating that allows seeing them clearly at any depth. The case is equipped with a bezel with luminous mark at 12 o’clock visible also at the extreme depth. For your convenience, the bezel is marked by minutes for 60 minutes. It is worth mentioning that Citizen has developed a special technology “Eco-Drive” featured also by this particular model. This technology means that the watch remains operating for indefinitely long time without replacement of batteries, powered by solar or lamp light. Even in the complete darkness, the built-in battery will keep the watch running for almost 6 months. The date display is located at 4 o’clock position of the dial. Diving is an extreme hobby for true loves of active lifestyle. If you are this kind of person, you will, probably, find a fitness tracker very handy. 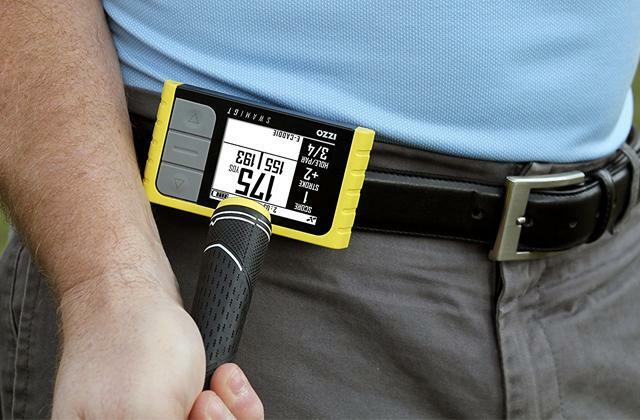 This gadget will help you control your physical condition and workouts 24/7. I like the large dial and it is very visible in all conditions. Have had this watch a year now. Build quality is solid. It has a nice presence on the wrist. I have many divers watches - some expensive and others not. This Citizen stands up in aesthetics and quality to many of them. 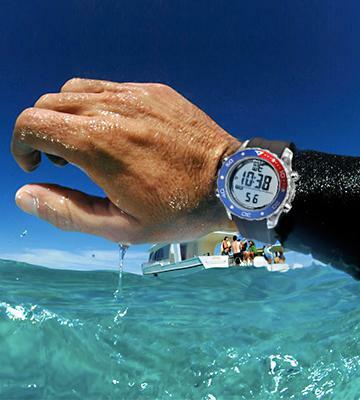 This watch may perfectly fit for active water sports, snorkeling and scuba diving. It allows submerging for up to 100 meters and 10 ATM of the water pressure. 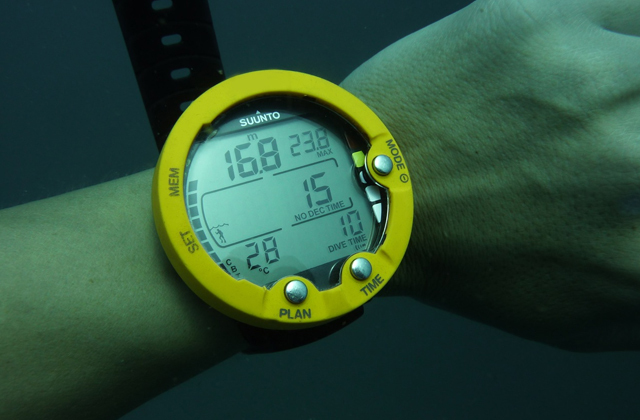 The digital display of the watch features versatile operating functions for use under water. The marine-grade waterproof construction is highly assessed by many users. The case is made of Polycarbonate with utmost resistance to water pressure. The rubber bracelet may be securely fixed on a body or wet-suit, its length is regulated easily. In this case, the dial is covered by a quality solid mineral crystal glass that would not fail you in the most extreme conditions. 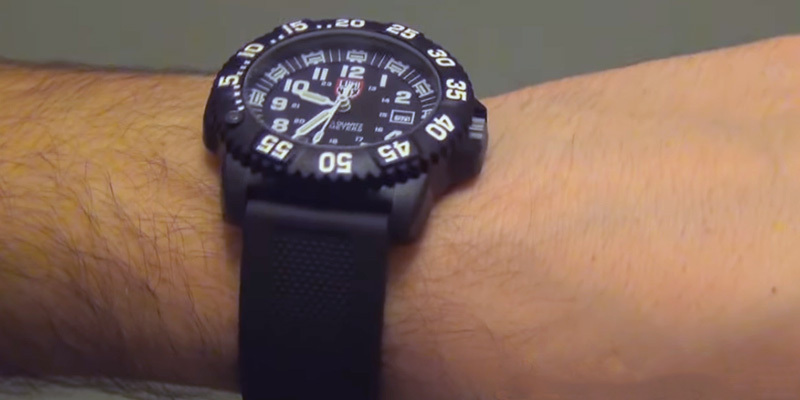 The watch is multi-functional and close enough to be called a dive computer. 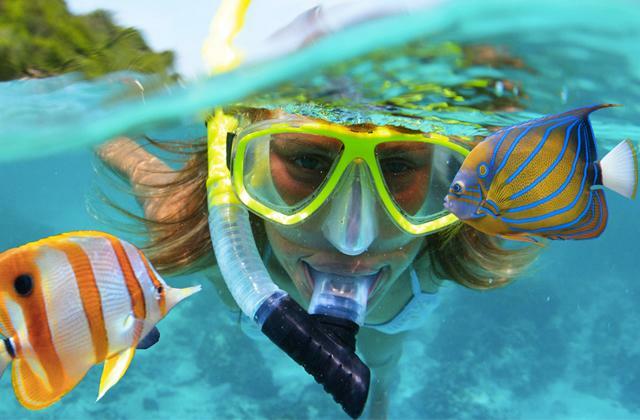 We can reassure you, that its functions will make any adventure under water exciting. 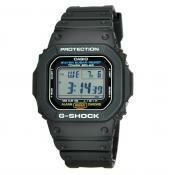 The watch has an Electro-Luminescent (EL) backlight, which is switched on and off with a press of a button. Besides the typical time (hours, minutes and seconds) and date displaying, this device features functions of a calendar, stopwatch, countdown timer, water thermometer and alarm clock. Additionally, it measures start time and date of the dive, elapsed dive time, maximum water depth reached, and minimum water temperature. The measurements are sufficiently accurate. 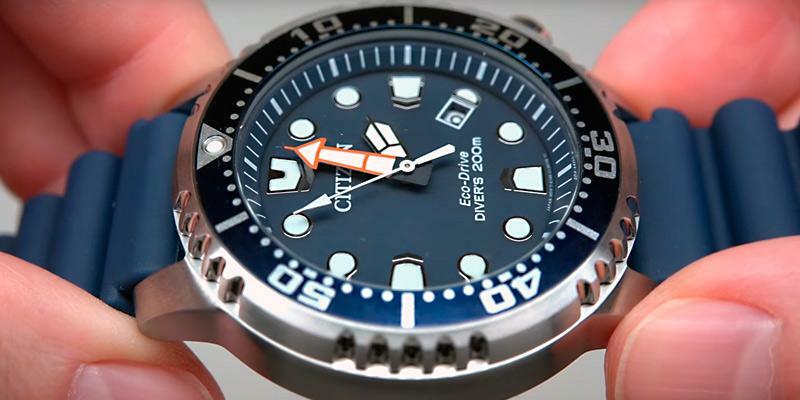 The dive mode is activated automatically if you submerge for more than 1.5 meters and over 10 seconds of time. The automatic dive alarm activates when emerging faster than 6 meters per minute, to help you safely return to the surface. You may also choose imperial or metric standards of measurement units. For the first time digital watches were featured in a movie of Stanley Kubrick's “2001: A Space Odyssey” (1968). He had requested representatives of Hamilton Watch Company to design a wristwatch that might not function, but would have an appearance complying with the spirit and body of the movie. The result looked like a “real” watch from the future. 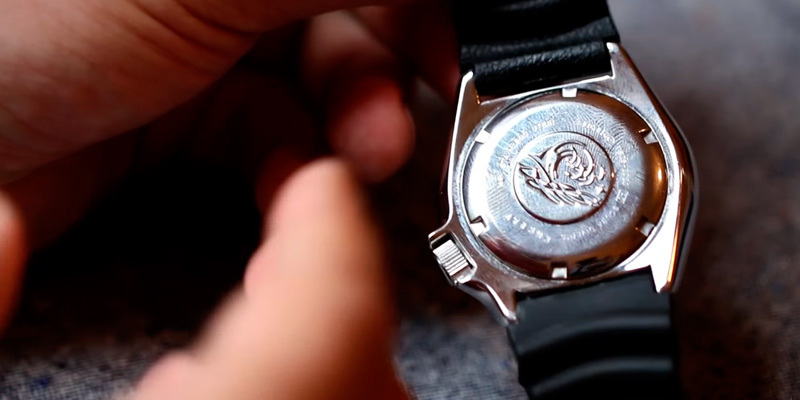 The watch designed and produced by Hamilton Watch Company has appeared on a wrist of one of the movie heroes. Following the fame of the movie Hamilton Watch Company composed a working digital watch, which attracted extraordinary demand immediately. This way the cinema culture has pushed ahead the technical progress. We believe, though, that heroes of “2001: A Space Odyssey” would be glad to have a watch like Pyle Multifunction Water Sport Wrist Watch. And you are able to have and enjoy them. 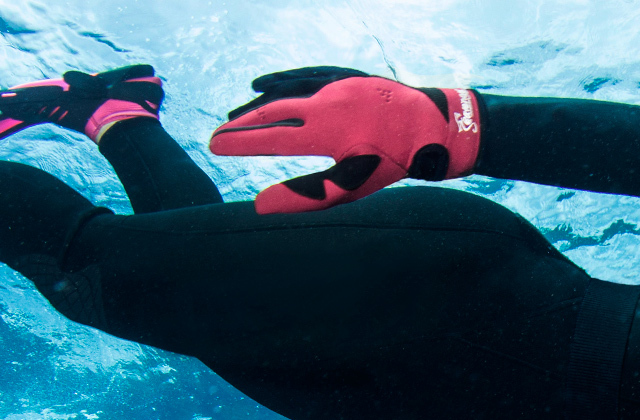 There are lots of accessories divers need. 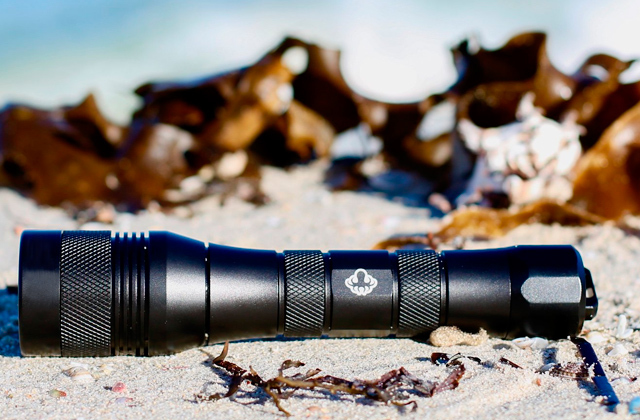 Yet, an underwater flashlight is among the must-haves. This item is really handy for diving at night or in a river the water of which isn't crystal-clear. The basic principle of Casio production process is creativity. Really, almost every product of this company is distinctive because of its utility and uniqueness at the same time. 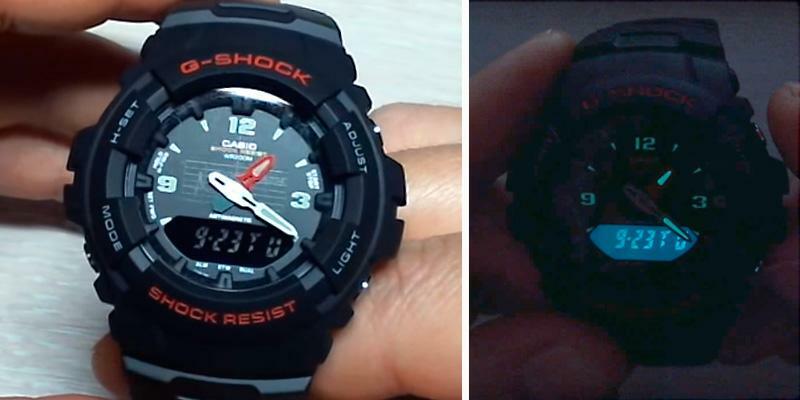 Speaking about watches, Casio has always attempted to make them innovative functional products of light weight and compact size. 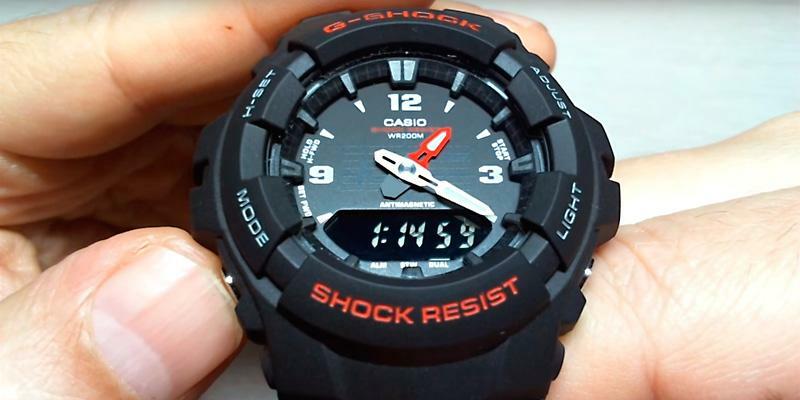 Digital watches produced by this company became a benchmark for many competitors, but analog models are also very popular among customers. Being a step ahead of competitors, as usual, Casio introduces a new innovative product to the market. You do not have to choose between an analog and a digital water-resistant watch anymore. 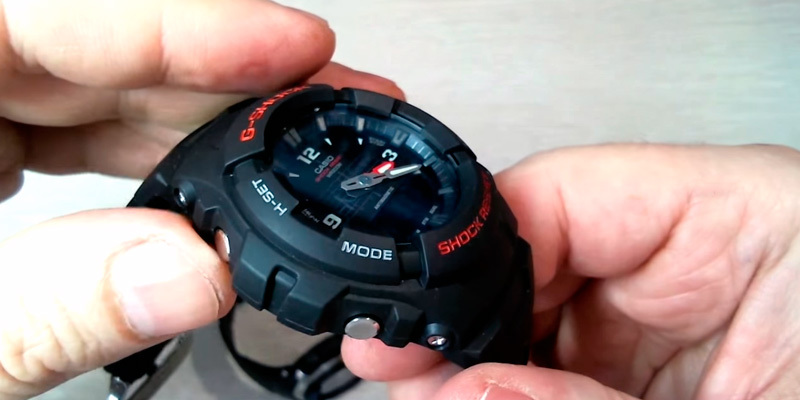 Now you have an amazing option proposed by Casio: a G-Shock Men's G100-1BV combining an analog dial and a digital display. A performance tested at extreme depths and the highest marks for unique durability of case and flexibility of band both made of a special resin showcase this watch best. Also, the dial is protected by mineral glass resistant to minor scratches or dents. 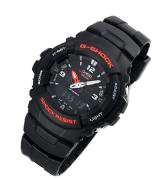 Casio G-Shock Men's G100-1BV Diving Watch features a considerably wide choice of available functions. The watch allows setting dual time for different time zones using analog and digital displays for alternative time settings. 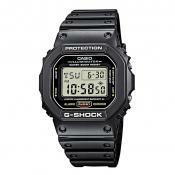 Additional functions include chronograph, stopwatch, day and month calendar, and alarm clock. More than that, the watch has such an important feature as a backlight with afterglow activated by pressing a button when submerged in water or under a bad light. 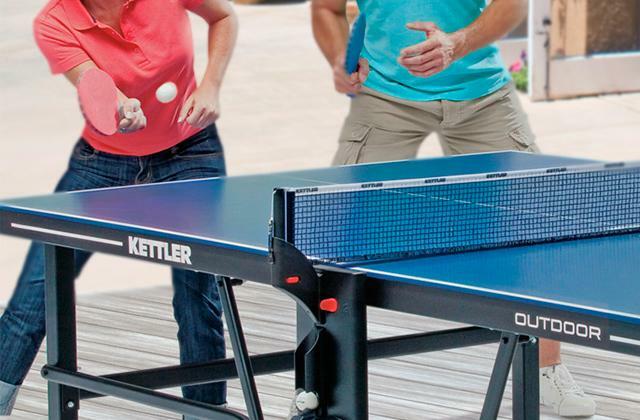 These features will be very convenient for an active leisure. It is also worth mentioning that this device is magnetic-resistant. 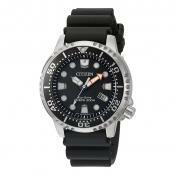 Apart from dive watch, you also need some other diving accessories. 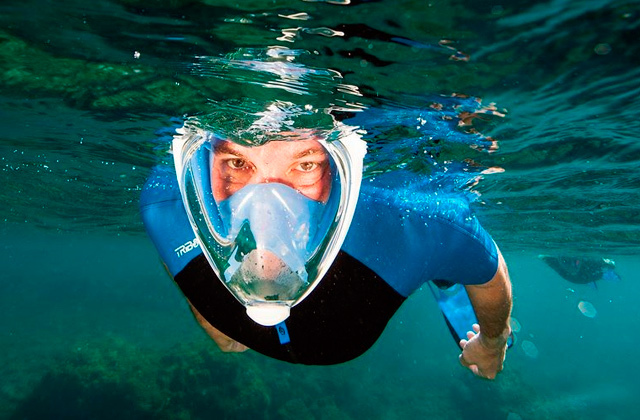 We recommend you to purchase waterproof neoprene socks and a diving mask. 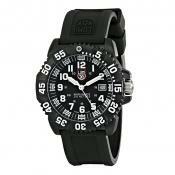 For many years of its operation, Luminox has tried hard to combine cutting-edge technologies and reliability of heavy-duty mechanisms in its products. 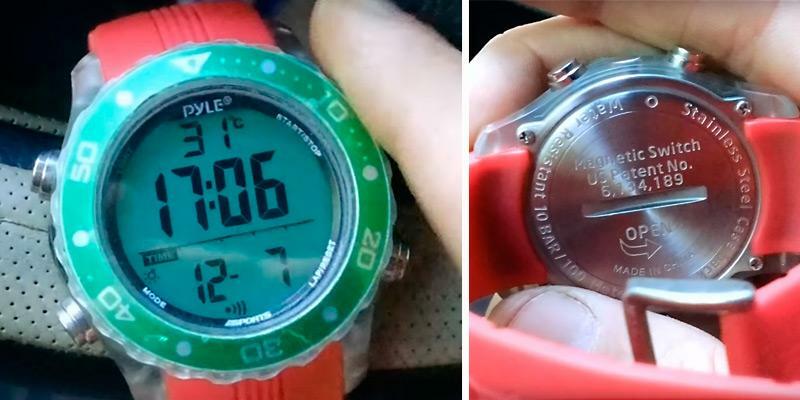 No wonder the watches produced by this company are so popular among the military and have been included in a standard outfit of some special forces. 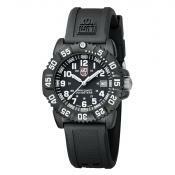 The Luminox Men’s 3051 watch is not an exception. It has been tested under the conditions of high pressure during submersions to extreme depths and passed all the tests without fail. The level of water-resistance is up to 200 meters. The watch is powered by a battery and has a quartz movement. 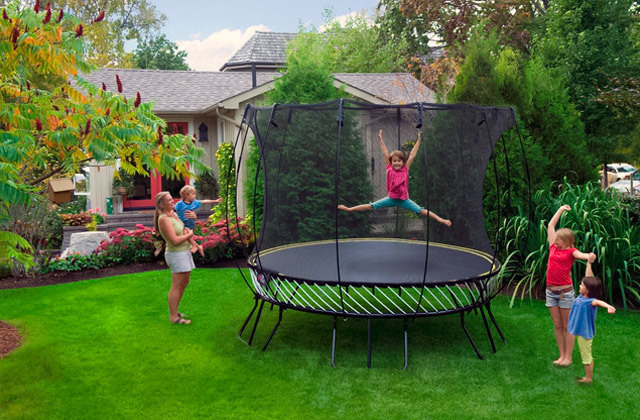 The main features include the case made of Carbon-reinforced material That effectively prevents any leakage of fluids inside and protects the mechanism from any external influence. This case is highly resistant to scratches and dents. The band is made of Polyurethane and is fitted with a buckle firmly gripping your wrist. You may have no fear it will unbuckle suddenly. 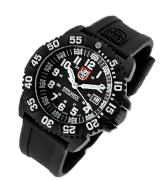 The model Luminox Men’s 3051 also features a unique design of its dial: besides having large-size Arabic digits for 12-hour clock, the dial has a marking of the 24-hour clock in smaller numerals. 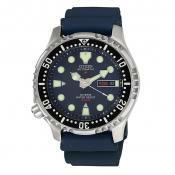 The Luminox Men's 3051 EVO Navy SEAL Colormark Watch has all the functions required for diving. The dial is visible at any depth since its hands and numbers have a luminous coating. The manufacturer provides the watch with its own Night Vision Tubes technology, which ensures that luminescence work for up to 25 years. We should also mention that the watch illumination looks astonishing underwater. The case is equipped with an unidirectional bezel allowing controlling the submersion time. The bezel has a large white mark at 12 o’clock making to ensure that its position is more visible when diving deeply. The minute markings of the bezel are for the period of 20 minutes. The date calendar rests at 3 o’clock position of the dial. 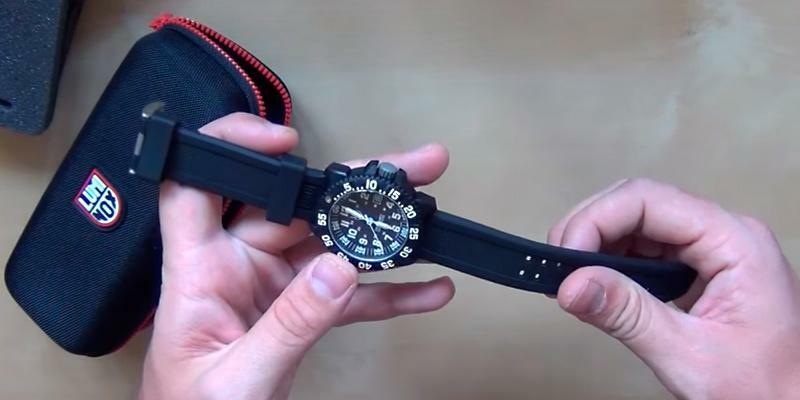 We advise you to buy spare bands together with a wrist-watch. The bands may be made of different materials, for example of Nylon, or have a different design or size. Everybody may find something to their taste. Which one is for you? 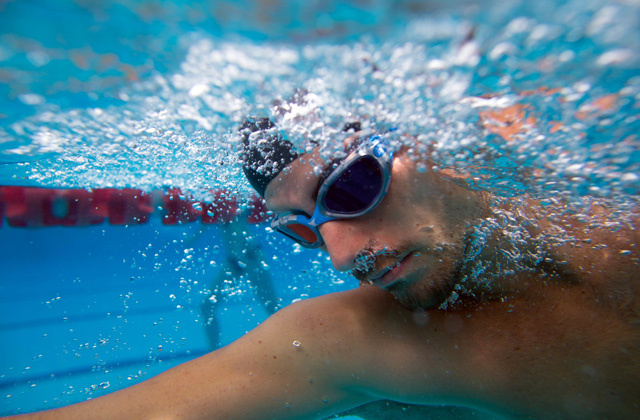 I'm a frequent swimmer at the gym so it's tested in all types of use throughout the week. I also do a lot of physical activities like running, swimming, rock climbing, etc. 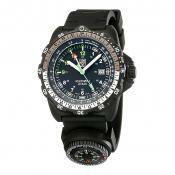 Needless to say I need a tough watch that can be easily cleaned, is durable, and is reliable. So far I have been very pleased. It is everything I was looking for. Its rugged and easy to read. Especially in the dark. 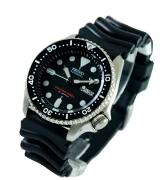 The diving watches belong to the most important elements of diving equipment. Certainly, they are designed and manufactured to be water-resistant. 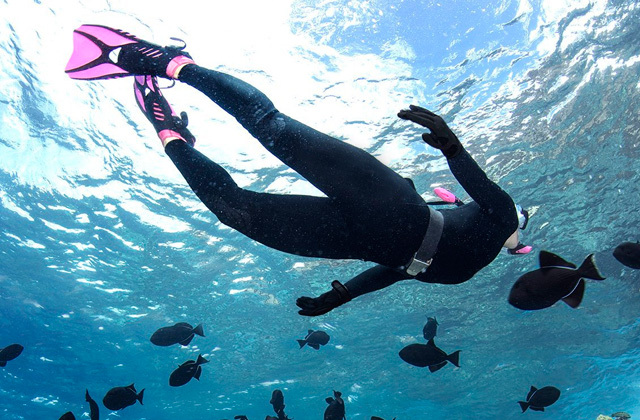 At present, the consumer demand for such goods is on the rise following the increase of popularity of diving as a special type of sports activity. 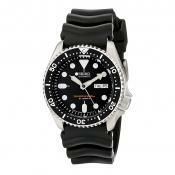 Also, the fans of active leisure and all types of water sports frequently look for diving watches. Naturally, international watch manufacturers design a wide range of diving watches differing by the look and the water resistance rate. 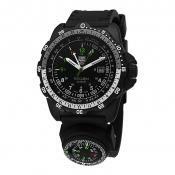 There are many specific requirements to watches manufactured for such ambitious purpose. Besides the evidently main one, water-resistance, the list of such requirements includes resistance to high pressure and sea-water, large and easy-to-read numbers of the dial that enable reading time and other information in the dark, and other features distinguishing these watches from regular ones. Another digital gadget you may want to shop is a smartwatch, selection of which is quite wide and includes some of the best waterproof and shockproof models you’ll wear with confidence. 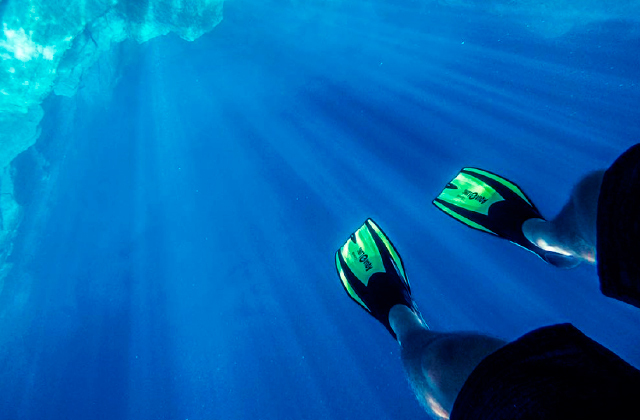 Take stunning pictures of the underwater world with the help of a great waterproof camera. 50 m water-resistant. This watch will not be damaged with rain drops or water splashes. You may wear it in a pool, but it is not adapted to more harsh conditions. 100 m water-resistant. The watch may be worn for diving in the sea-water. 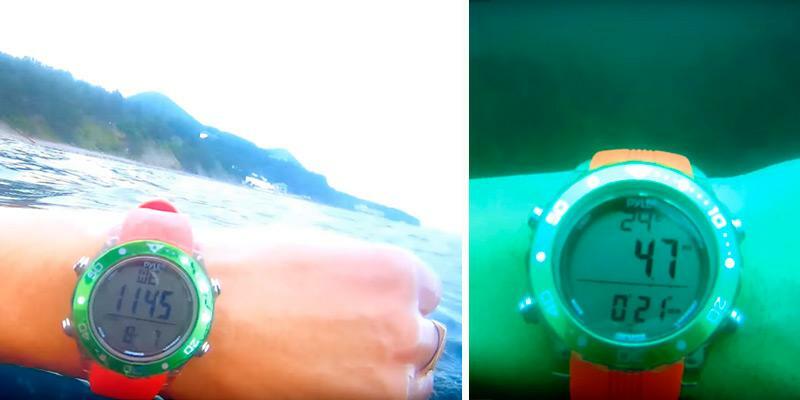 There is no time limitation for keeping such watches under the water, they can be used by scuba divers and free divers. 200 m water-resistant. 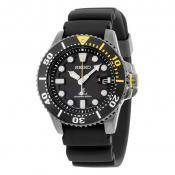 These watches are recognized as professional equipment for deep and long-time diving. They resist to extreme levels of water pressure. The same as any ordinary watch, the diving watches may be segregated by the type of movement: mechanical, quartz, analog, and digital. These features have their own peculiarities and their supporters. Purely mechanical watches must be regularly wound-up and adjusted. Automatic watches are self-wound-up by hand movements. The watches with a quartz movement do not need to be wound-up, but they are perceived as less-living. It should be noted that traditionally the mechanical watches are more fashionable and desired because they are hand-made. The digital watches have the quartz movement, in other words, they are battery powered, but have a digital dial in contrast to the analog one with hands. It is advisable to further assess the material, which was used to make the watch because this determines such important features as the leak-tightness and durability of the watch. 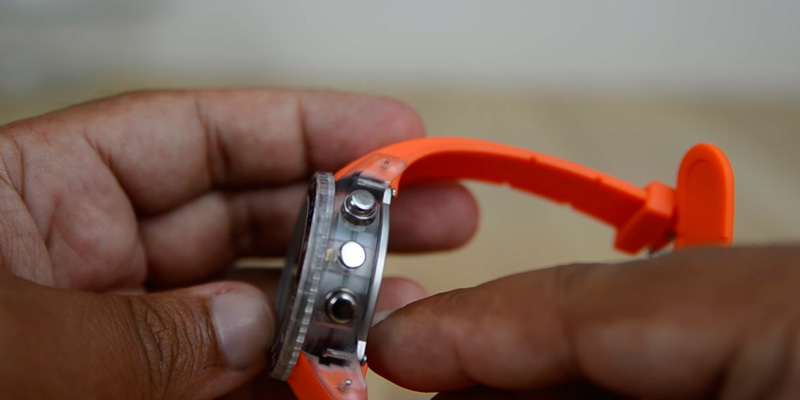 The diving watch should be resistant to water pressure and corrosion, and the mechanism inside has to be fully protected from external influences. That is why, as a rule, they are manufactured of stainless steel or other corrosion-resistant steel-based alloys. 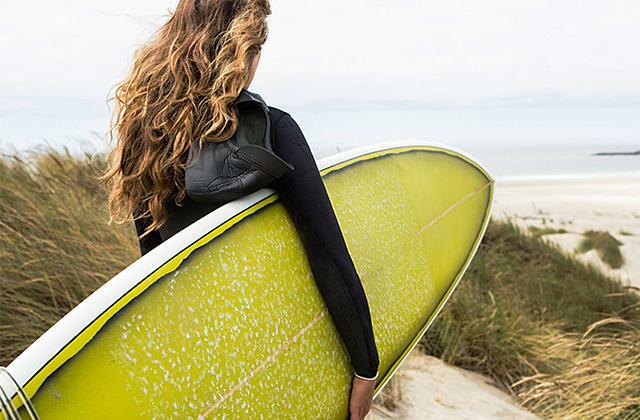 Some manufacturers may use other materials like titanium, ceramics, or synthetic resins, which proved to be highly resistant to unfavorable conditions of usage under water. Wristbands are also made of water-resistant materials designed to survive the wet and get dry frequently, and securily fit on top of a diving suit. The gliding or chain bracelets with a fixed breadth are not suitable for this task. But the bracelets made of rubber or resin with extra space for tension and a simple clasp will fit the purpose. The dial is frequently covered by acrylic, mineral or sapphire glass. The acryl glass is a relatively cheap material that can be scratched easily. The mineral glass consists of several layers thermally processed to reach the necessary grade of solidity resistant to scratching. The sapphire glass is the most solid and expensive crystal glass used in watches. 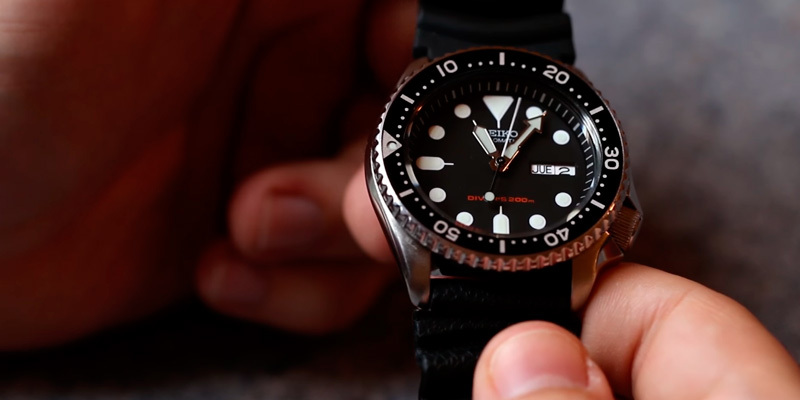 One more feature to consider when selecting a diving watch is its special functions. 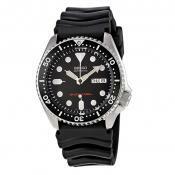 The diving watches have certain special functions that are meaningless for ordinary wrist-watches, but might be vital under water. The light is dimmed by water faster than on the surface, consequently, the hands and digits of a dial should be made in a way to remain well visible in the darkness. A luminescent coating assuring high visibility in bad conditions is applied to hands and digits. 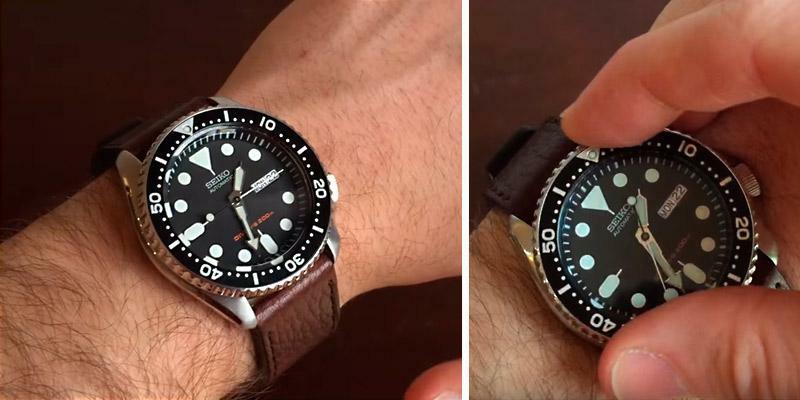 Another important part of the diving watch is bezel. It is a notched rotating ring around a dial used to accurately measure the time of submersion (usually this is done to calculate the time of emersion or non-diving limits). Due to the importance of this feature, we recommend you to pay special attention to the bezel. It is desirable to have it marked with a luminous dot visible in the depth for right estimations. In addition to the abovementioned facts, it should be mentioned that some models have a lot of other extra functions making them much like a diving computer. These include recording and memorizing the time of dive, its maximum depth, water temperature, non-diving limits and so on. But these features are important for diving and not relevant for fans of water sports, who don't intend to go into deep waters. 1. The Seiko SKX007 and its family of Seiko Beater Divers, Monochrome. September 19, 2014. 2. Watchuseek, The Most Visited Watch Forum Site ... In The World. Watchuseek. 3. 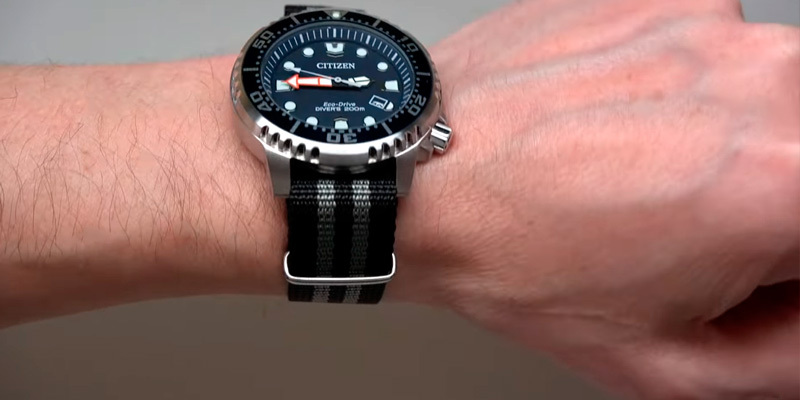 Kevin Mack How To Buy The Right Diver's Watch, Real Men Real Style. 4. J.A. Shapira The diwing watch guide, Gentleman's gazette. January 1, 2015. 5. 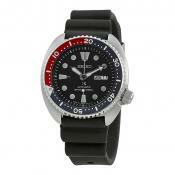 How to Buy an Awesome Dive Watch, Men'sHealth. June 26, 2014. 6. 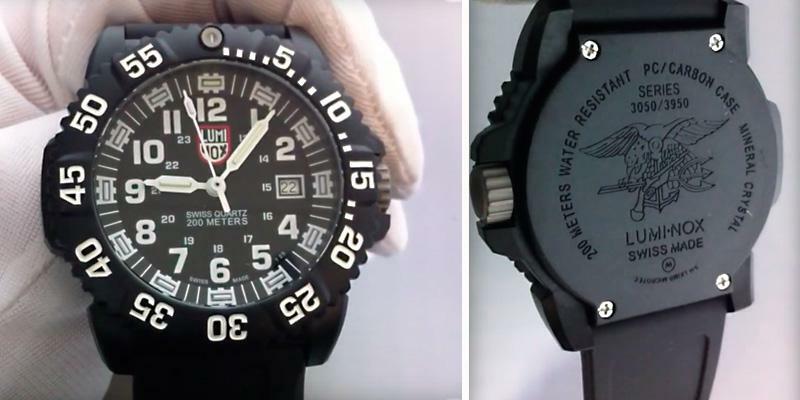 Luminox Navy Seal Colormark 3050 Series A. 3051 Review, TopTenReviews. June 2014. 7. David Bredan The History of Dive Watches, A Blog to Watch. April 27, 2014. 8. Diving Watch, Wikipedia. June 13, 2016.